In 1863, the three-day Civil War Battle of Gettysburg in Pennsylvania ended in a major victory for the North as Confederate troops failed to breach Union positions during an assault known as Pickett’s Charge. Today is Tuesday, July 3, the 184th day of 2018. There are 181 days left in the year. On July 3, 1863, the three-day Civil War Battle of Gettysburg in Pennsylvania ended in a major victory for the North as Confederate troops failed to breach Union positions during an assault known as Pickett’s Charge. In 1775, Gen. George Washington took command of the Continental Army at Cambridge, Massachusetts. In 1890, Idaho became the 43rd state of the Union. 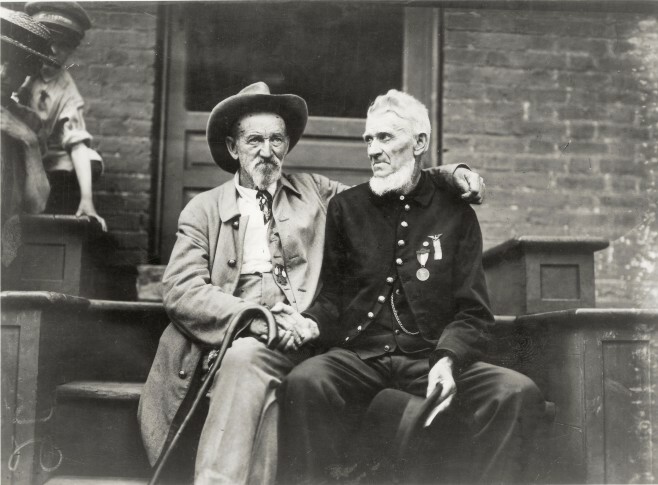 In 1913, during a 50th anniversary reunion at Gettysburg, Pennsylvania, Civil War veterans re-enacted Pickett’s Charge, which ended with embraces and handshakes between the former enemies. In 1938, President Franklin D. Roosevelt marked the 75th anniversary of the Battle of Gettysburg by dedicating the Eternal Light Peace Memorial. In 1944, during World War II, Soviet forces recaptured Minsk from the Germans. In 1950, the first carrier strikes of the Korean War took place as the USS Valley Forge and the HMS Triumph sent fighter planes against North Korean targets. In 1962, French President Charles de Gaulle signed an agreement recognizing Algeria as an independent state after 132 years of French rule. In 1971, singer Jim Morrison of The Doors died in Paris at age 27. In 1976, Israel launched its daring mission to rescue 106 passengers and Air France crew members being held at Entebbe (en-TEH’-bee) Airport in Uganda (yoo-GAHN’-dah) by pro-Palestinian hijackers; the commandos succeeded in rescuing all but four of the hostages. In 1987, British millionaire Richard Branson and Per Lindstrand became the first hot-air balloon travelers to cross the Atlantic, parachuting into the sea as their craft went down off the Scottish coast. In 1988, the USS Vincennes shot down an Iran Air jetliner over the Persian Gulf, killing all 290 people aboard. In 1992, the first U.S. Air Force C-130 transport planes from Operation Provide Promise arrived in the besieged Bosnian capital of Sarajevo. Ten years ago: The Pentagon announced it had extended the tour of 2,200 Marines in Afghanistan, after insisting for months the unit would come home on time. Venus and Serena Williams won in straight sets to set up their third all-sister Wimbledon final and seventh Grand Slam championship matchup. Larry Harmon, who turned Bozo the Clown into a show business staple, died in Los Angeles at age 83. Five years ago: Egypt’s first democratically elected president, Mohammed Morsi, was overthrown by the military after just one year by the same kind of Arab Spring uprising that had brought the Islamist leader to power. One year ago: A federal appeals court ruled that Environmental Protection Agency Administrator Scott Pruitt overstepped his authority in trying to delay implementation of an Obama administration rule requiring oil and gas companies to monitor and reduce methane leaks. The three-judge panel from the U.S. Court of Appeals for the District of Columbia Circuit ordered the EPA to move forward with the new requirement aimed at reducing planet-warming emissions from oil and gas operations.